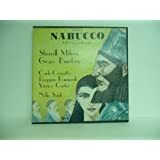 This 1979 live recording of Nabucco with Sherrill Milnes, Grace Bumbry, Carlo Cossutta, and Ruggero Raimondi (Nello Santi conducts) was released on some small label called Legendary Records. One can't even order a used LP version from Amazon right now. A DVD is available from a dubious source (translated, could be considered a pirate recording), but I don't buy from dubious sources. I don't care whether this recording is reissued in audio or video format; I just want to be able to purchase it. Last edited by DarkAngel; Aug-24-2014 at 20:42. This one does sound tempting, indeed. It may well be that it has been a pirate recording all along, though. If it had ever been intended for commercial release, it seems odd that such a big-name production was not picked up by one of the more well-known labels. As you indicate, it is possible to obtain it, though I have no clue as to the legality nor the quality. I would love for them to reissue the original Broadway cast recording of Menotti's THE CONSUL, partly because it features Cornell MacNeil at the start of his career. Ah , MacNeil, a very underrated singer. MacNeil was one of the greats, indeed! Fortunately, he made quite a few recordings while in his prime. Have you heard his "Prologue" from this one? His Rigoletto is among the very best - especially his first studio recording (Sanzogno/Decca). It's a pity he wasn't cast as Scarpia in Tebaldi's second studio Tosca (Molinari-Pradelli/Decca) or the Nilsson/Maazel Decca recording. Last edited by OperaGeek; Sep-12-2014 at 23:14. I must admit to several key moments in my opera collecting life....the birth of the iPod which allowed me to listen to my collection on the go and anywhere in the world. Second was itunes, something I resisted for years as there is nothing like going to an old cd shop and spending hours searching for something gold. But itunes allows me to buy dca it nought had long gone or not seen for years. The range on there is staggering. Responding "Opera Geek's" post: "Deleted opera recordings that HAVE TO be reissued...! "I own a set of the original CD-Production. You mean the "Tristan" recording of 1981 (Mitchinson, Gray, Howell etc.)? For legal reasons, I cannot offer to burn a copy, but if you want, I would borrow the originals and send you the CD's by mail - That's legal and I don't have to ask what you do while the discs are at your home. So I want to offer you to send you the disc from opera lover to opera lover for free if you promise to be careful and that you'll send it back again. Last edited by Sascha; Sep-13-2014 at 06:05. I have MacNeil on a "live" CD of TOSCA, recorded at the Met in 1962, with Leontyne Price. On balance, he's probably my favorite Scarpia. Another recording I really want reissued is RCA's 1970-1971 version of Puccini's IL TABARRO with Leontyne Price, Placido Domingo, and Sherrill Milnes. To the above-mentioned IL TABARRO I'd like to add the early-1970's recording of Puccini's SUOR ANGELICA starring Katia Ricciarelli. 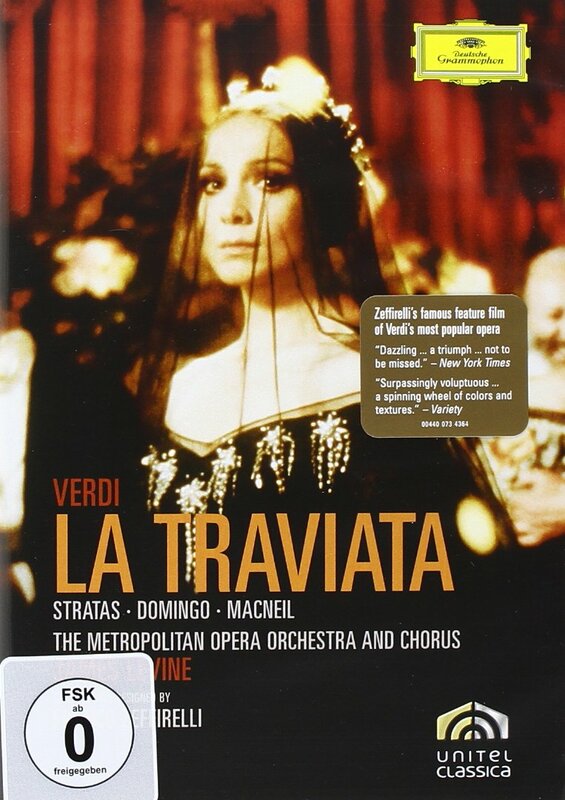 I actually already have a recording of IL TRITTICO (the one conducted by Antonio Pappano) but wouldn't mind supplementing it with the allegedly excellent single CDs of TABARRO and ANGELICA. Heaven knows we need all the prime Ricciarelli we can get. P.S. How do I make the picture smaller? Last edited by RobertKC; Oct-15-2014 at 00:12. This is an absolute mystery to me. All the photos I post come out the same size, whether I download from my pc or insert an external URL. Last edited by GregMitchell; Oct-17-2014 at 09:02. I'm kicking myself for not buying the Goodall "Tristan" (Decca) on CD. It was readily available, it was reasonably priced, I didn't buy it and I regret it. I know it's available from ArkivMusic, but I'm not so keen on paying $45 for a reproduction. The prices demanded for the original on Amazon Marketplace and eBay are way too high. Are you listening, Universal Classics? Reissue, please! What deleted opera recordings do you really wish were made available again (i.e, "the-ones-that-got- away-and-now-I'm-hating-myself-for-it", or the ones that have yet to be released on CD/download)? Another plea here for the Goodall Tristan. From what I've read, Linda Esther Gray sounds like a Wagner soprano in the Frida Leider mold, more sensitive, warm, and bel canto in style than the modern norm, and Goodall's meditative way with tempo and articulation would be a refreshing antidote to the more frenzied and propulsive approaches of Karajan, Bohm, Pappano, Kleiber et al. Of course this is daydreaming; I'm just so desperate for a Tristan more recent than the 1952 Flagstad/Furtwangler that savors the orchestral riches of the score and brings out the romance and sorrow of the story as opposed to the neurotic madness. Apparently Decca just feels that Arkiv Music's reissue is good enough, but like you I haven't wanted to put out $50.00. At some point I guess I'll have to break down and do it. For the few fans out there who haven't got it...it's out again!